Over 500 people sipped the night away at our sold out Red, White and Brew tasting event, celebrating the wineries honored in our 8th Annual Best WA Wine Awards. 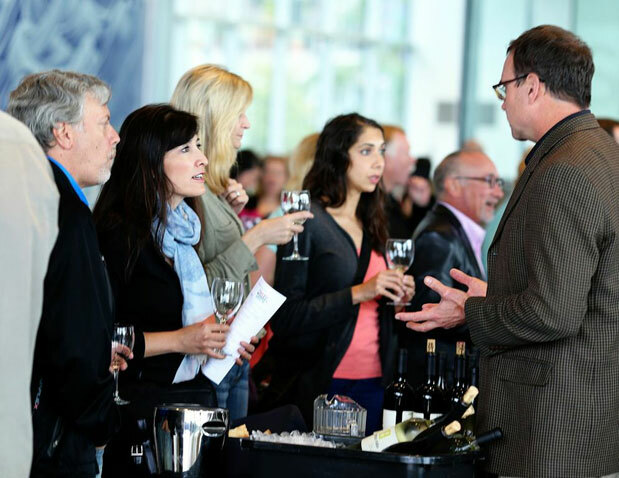 Despite it being the one drizzly day of summer Seattle came out in full force to clink glasses with 18 different wineries and winemakers to taste their winning products. Guests also enjoyed samplings from 7 of our favorite local breweries and spirits courtesy of Hendrick's Tullamore Dew. TASTE provided delicious appetizers alongside Belle Epicurean’s fresh made macaroons and jambon baguettes. Part of the proceeds from the event benefitted Seattle Art Museum. Special thank you to all of our participating wineries and breweries that helped make the evening a success: Alexandria Nicole, American Brewing, Andrew Will, Avennia, Bergevin Lanes, Bunnell Family, Challenger Ridge, Diamond Knot, Emerald City, Fidelitas, Georgetown Brewing, Hilliards, Iron Horse, Lobo Hills, Lullaby, Kerloo, Manu Propria, Mellisoni, Milbrandt, Northstar, Pike Place, Robert Ramsay, Saviah Cellars, Sleight of Hand, and Spring Valley.